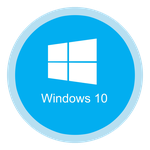 Setting up a proxy in Windows 10 is not as simple as Microsoft is trying to show. Many of you will learn about this only when the computer will suddenly drop out of the network. Or, which also happens, when a newly installed system stubbornly refuses to connect to the World of Tanks server. Familiar, isn’t it? If you have ever dealt with something similar and even thought about switching to Linux, hold it. If you omit technical details that are of little interest to an ordinary person (and you will hardly need them, admit it), it turns out that a proxy server is an intermediary between you and any website on the network. Perhaps there may be other reasons for setting up a proxy server, however, these two are the most common. So, let’s see what a proxy server is and how to set it up for Android. 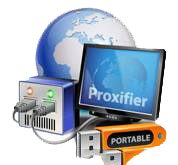 Proxifier is a great tool using which you can force programs that by default are not able to work through proxy servers to work with them. First of all, after we run the program we need to configure it to work with a proxy.